The Budweiser puppy is dead. Not literally, but Anheuser-Busch said last year that there will be no puppy in the Budweiser Super Bowl 50 Ad. The puppy ads have been extremely successful and topping almost all Super Bowl ad charts, no matter what criteria they rank for. 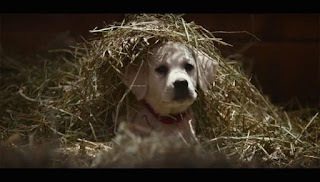 Unruly ranks last year's Budweiser Super Bowl Ad titled Lost Dog, as the most shared, by a huge margin. TiVo just ranked the Budweiser Super Bowl Ad from 2014 titled "Puppy Love" as the best Super Bowl ad of all time. The only problem Budweiser has with the Puppy is that the little cute fellow is not selling beer. The Budweiser Clydesdales will be back. Apparently horses sell beer. Now we know why movie studios love to advertise during the Super Bowl. Social engagement of Super Bowl trailers is off the charts.